The best player on the 2011 free agents list, Prince Fielder, is still entertaining offers from various teams. The Chicago Cubs look like the closest to signing the three time All-Star First Baseman. He is probably the only big name still left on the board, as Albert Pujols made the biggest news thus far, leaving the St. Louis Cardinals for the Los Angeles Angels. Besides Prince Fielder, a few big names are still outthere waiting for a good offer – Carlos Beltran, Jimmy Rollins, Carlos Pena, Ryan Madson, Josh Willingham, Michael Cuddyer and Roy Oswalt. David Ortiz (Red Sox), Francisco Rodriguez (Brewers) and Kelly Johnson (Blue Jays) have all accepted arbitration, staying on for another season with their teams. 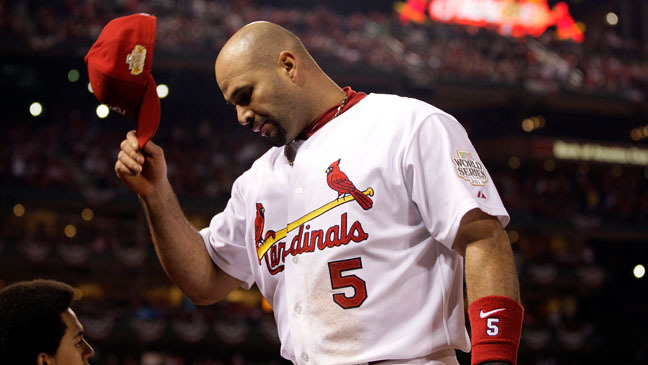 For some reason, despite what happened last year, Cardinals’ fans still thought Albert Pujols is going to stay. He wanted to be the highest paid 1B in the game and a 10 year contract. The Cardinals weren’t offering him enough to make him satisfied. Loyalty and all that are simply things that don’t exist anymore. After winning his second World Series title, Pujols signed with the Angels for a 10 year, $250 million deal. This wasn’t the Angels’ only big move this off season. They got the #1 pitcher available, another World Series participant, only on the losing side. C.J. Wilson made his first All-Star appearance in 2011, finishing with a 16-7 record for the Texas Rangers with a 2.94 ERA. His postseason form wasn’t up to his regular season performance. He still got a 5 year, $77.5 million deal, making the Angels’ rotation possibly the best in the AL. Jose Reyes became the signature signing of the Miami Marlins, who seemed to be after every possible expensive free agent outthere. Although Hanley Ramirez doesn’t look too happy about the whole new scene, everyone else is. Reyes,a four time All-Star that won the batting title last season with the Mets despite playing 122 games will bring his suspectable durability to Miami for $106 million spread across six years. The Marlins made more big moves in the pitching market. First they got a solid, reliable, veteran starter in Mark Buehrle, signing the former Chicago White Sox pitcher (12 seasons) and World Series winner on a four year, $58 million contract. He’ll probably be the no.2 in the rotation behind Josh Johnson. The spending didn’t stop there, with the Marlins signing Heath Bell. Bell was involved in trade rumors all season while pitching for the San Diego Padres, his home since 2007. He got 43 saves in 48 opportunities, making his third consecutive All-Star game. He got the 3 year contract he wants from Miami, with $27 million to make his time worthwhile. Jonathan Papelbon’s Red Sox career ended with him blowing a save against the Orioles, completing their September collapse, letting the Rays into the playoffs. 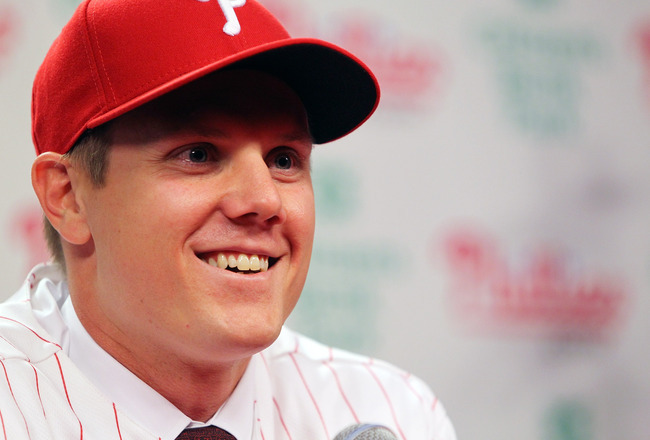 After seven seasons in Boston and 219 saves, Papelbon moved to the Phillies’ bullpen for 4 years and $50 million. Aramis Ramirez made the relatively short distance from Chicago to Milwaukee, signing with the Brewers on a 3 year, $36 million deal. His move in the NL Central will probably get the Cubs to push even harder to sign Prince Fielder.